News of 50 Druk Phuensum Tshogpa supporters planning a trip to the capital on behalf of the Speaker and the Home Minister in regard to the Gyelpozhing verdict caused some disquiet in a country not used to political activism. Though the DPT members withdrew their petition as of yesterday the issue still continues as members of the two candidates constituency will put up the petition in their place now. In a party meeting in Trashigang held in January 2012 DPT supporters even threatened to take to the streets if the Speaker and the Home Minister were not allowed to contest. The comparison by some of the above with the anti-national protests of the past is too extreme and unjustified so far. However, there are some serious questions to be asked of this tactic adopted by members of the ruling party and wether it is in the long term interest of democracy in Bhutan. DPT supporters are not satisfied with ACC’s investigation of the case, the Mongar district court’s verdict, they also want the Home Minister and Speaker to be allowed to contest in the 2013 race and finally they have raised the question if past cases can be subjected to review today. In short all of the above issues have been settled by the ACC investigation and the verdict of the Mongar district court which the DPT supporters are not prepared to accept. As many observers point out the problem with the party workers stand is that it questions the institutional credibility of both the ACC and the Judiciary and also is a challenge to the concept of the rule of law. The correct and legal method would be for the Speaker and Home Minister to appeal to the High Court if they are not satisfied with the decision and then go onto the Supreme Court. There is no constitutional or legal provision for anyone to bypass the district or High Court and go directly to the Supreme Court in an ongoing criminal case. The move is also being seen by many as an organized pressure tactic by members of the ruling party to put all the institutions involved under political pressure. In stark contrast the same government came down heavily on an innocent and non political solidarity walk with a senior civil servant even being given early retirement. The same government strongly advised against people wanting to protest against the Tobacco Control Act. There was also strong criticism on the plans of some businesses to peacefully close shop for a day to show their dissent against Pedestrian Day. Except for the Solidarity Walk none of the others happened as citizens and businessmen decided to heed the government’s wishes and not protest. Now in stark contrast members of the ruling party are not only questioning the validity of the ACC and the Judiciary but are also threatening to hit the streets if things don’t go their way. This is clearly setting a wrong precedent for the future as the message is taking the law into one’s own hands if it does not favor you. People must understand that Democracy is not just farm roads or mobile connection. These are just as easily available in non democratic countries. Democracy at its core upholds the rule of law, respects the rights and freedoms of individual citizens, and has a system of checks and balances on power. Riding roughshod over these for short term political gains will not serve democracy well. The ruling party may also be opening a Pandora’s Box of political activism and a culture of protests on the streets. Since the advent of democracy the only reason why people did not come out on the streets to protest on various issues against the elected government is out of respect for the Monarchy. The ruling government in that sense has to be grateful to the Monarchy due to its stabilizing and unifying role. 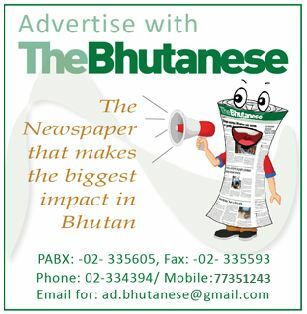 Moreover, Bhutan is too small and vulnerable a country to practice highly polarizing and cut-throat politics. Therefore, politicians in Bhutan have a sacred duty to not only serve the people but also lead the people in the right way and uphold the Tsa-Wa-Sum. incase if we get to know that our relatives in the village are forced to sign by the supporter then i think they will have to be answerable to the court. What about you Me. I feel sorry on you, even after having witnessed so much of government atrocities, you still favor DPT, everyone in corrupted in DPT including its supporters…………..
your hit the nail on the head. Yes DPT looks and appear corrupted with all sorts of stories in spiet of their endless preaching on GNH and moral issues. We are yet hear more on Chnag Ugyens’ alleged corrupt practices. you have hit the nail on the head. Yes DPT looks and appear corrupted with all sorts of stories in spite of their endless preaching on GNH and moral issues. We are yet hear more on Chnag Ugyens’ alleged corrupt practices. I think it is the Gyelpozhing case itself that has open up a Pandoras box, now whether we like it or not, the ACC has to investigate all the corruption cases that have happened after 1907. The floodgates have now been opened, for the sake of the RICBL staff, some of whom were terminated for misuse of sums of even less than Nu 500 and the Gyelpozhing Committee members who gained nothing, it is only fair that Aum Neten and her group of very dedicated people go after each and every corruption case, many of whom they seem to be ignoring, ie Phobjika case, foreign Ministry medical money misuse case and many others. If I were a member of the Committee that has been found guilty by the Mongar court for dereliction of duties, I would be making a bee line for the ACCs and this papers offices, ACC for not taking other people with more serious allegations to court, ie Dagana Dzongda and MFA Bangkok’s misuse of medical funds and this paper for being only selective in their reporting. if you can’t beat them,join them.i think government wants all citizen to be like home minister and speaker?yes we are ready to be one among them but i am concerned about abnormal growth of the country.i always wonder why a innocent guy with tobacco is treated badly than the corrupted bureaucrats?is it the time where minors should join hands and fight?or let the elites play the game on their own?i think this is the time we the citizen and governments should start to think and act logically.i don’t think the story of home minister and speaker ends here,i can see 90% of elites are looking for some corruption to do because impact is less(punishment is not even equivalent to a troubled son abusing drugs).when are we the limited citizens getting united?why in Bhutan 80% of the game is under the control of elites?what if we the citizens start to provide feed back and govt. act accordingly?i am confused and i can’t resist to see poor ones suffering and some are just suffering because of a wrong policies and planning. it’s just that we have a great kings above us lest i really feel like being one of the peoples rebel.we need change,we need good government,we need our great kings,we want the elites to be softer and most importantly we want our government servants to work with faith,dignity and confidence.one of the most concerned citizen. It sounds baseless to protest in favor of corrupted civil servants/bureaucrats. They can always go ahead with their petition to the high court or supreme court. the country should be ruled by rule of law/constitution. And I wonder why people do not appreciate when the media brings out such news to the knowledge of the general people. Tobaco and land cases are two extremes to be compared. Bhutan is land of Guru Rimpoche and tobaco demeans Guru’s teaching, O.K. Mr. Sonam. When it comes to land everybody grabs it. pls report the facts and not try to put in ideas into the readers of this paper. putting up a petition and gathering up in crowds or marching through town is a totally separate issue. if you want to talk about setting precedence of political activism, nothing can beat the PDP’s gathering up in hundreds to appeal to HM to take democracy back because they lost the elections in 2008. That act has to be the highlight of stupidity in our history of democracy. Y only unmarried women r only in high post like Aum Neten and nt many married r at top level. Is it nt questionable? it is NOT very interesting to read comments from ‘Me’, ‘LAKSAM’, sarcastically, we only need clean politicians!!! Truth is always bitter and not nice to read or hear! @laksam: yap, truth like mongar court’s verdict will be bitter for those found guilty. Tell the Bhutanese to dig how many people sold tobaco and how much quantity prior to formulation of TOBACO ACT so that we can punish them based on the Act now. Now, please tell me who the many are, if you mean it is Tenzing Lamsang and some of his weirdo friends, then I would agree, otherwise it sounds too far fetched to be even remotely true. Laksum and Me should be a kind of person who embrace their own interest and is a part of the corruped lots and shear same benefits. Please don’t even try to fool we the Bhutanese people. Don’t be fools to fool others. At least we are not anti-nationals, Kado seems to be one! 1. Prior to the Act in which Laksam is referring to, the laws permitted the people to carry out the tobacco transaction- so it was always legal to do tobacco business then. Whereas, Gyelposhing land scandal was altogether was different from the tobacco issue. Even before the Act, there was a clear standing Kasho from the K4 and standing guidelines from the then MOIC for allotting the land and it was not something that any Dzongdag can issue land to anyone including their maids and sons. There was Kasho and clear guidelines well in place much before the act. So the act of Gyelposhing land scandal is very different from the tobacco issue. Dechen Singye and Tshogpen violated the provisions of the guidelines and kasho for allotting the land to themselves for their personal benefits- that is the bigger issues here. And the worst, they had violated some o the provisions of The Thrimzhung Chenmo for forgery, fraud and tampering of documents: Dechen Singye forged the documents and allotted the gyelposhing land to his sister which later he sold it for a huge profit. So his intention was clear but lucky that he has been given option to pay thrimthue although he violated NA-1 of Thrimzhung Chemo as mentioned in the Court verdict. Other people convicted under this provision of NA_1 of Thrimzhung Chemo were imprisoned, they were not given the option to pay, for instance people from NFE, MOE; staff of Gelephu Court; Dangpon of Sarpang; AWP; Samtse Mining case. Like Dechen Singye, Tshopgen forged the document to allot the land to his maid and he also allotted land to his sons, he was also given the option like Dechen Singye to pay thrimthue. So at some point, the case may lead to convicting them without the option for payment of thrimthue by the Higer Court if we go by the past cases and provisions under the NA-1 of Thrimzhung chenmo. 2. The other Committee members have not violated or forged the documents for personal gains unlike Dechen Singye. So there is every reason and hope that their penalty may be reduced drastically. Likewise, the Court verdict clearly indicated that the Home Ministers has not forged documents nor personally benefitted unlike the other two, so we could sense that his penalty may not be increased by the Higher Court unlike in the case of Dechen Singye and Tshogpen. @sunmoom! You are wiser and older version of me. I will be back ofcourse…………..?